Whether you live in Scotland or Australia, December is a good month to be drinking peated whisky. In the Northern Hemisphere the locals are battening down the hatches and preparing to ride out another winter with a smoky dram warming the cockles in the evening. Here in the southern reaches of the world summer is upon us and with it the scent of BBQ smoke drifting across the country. 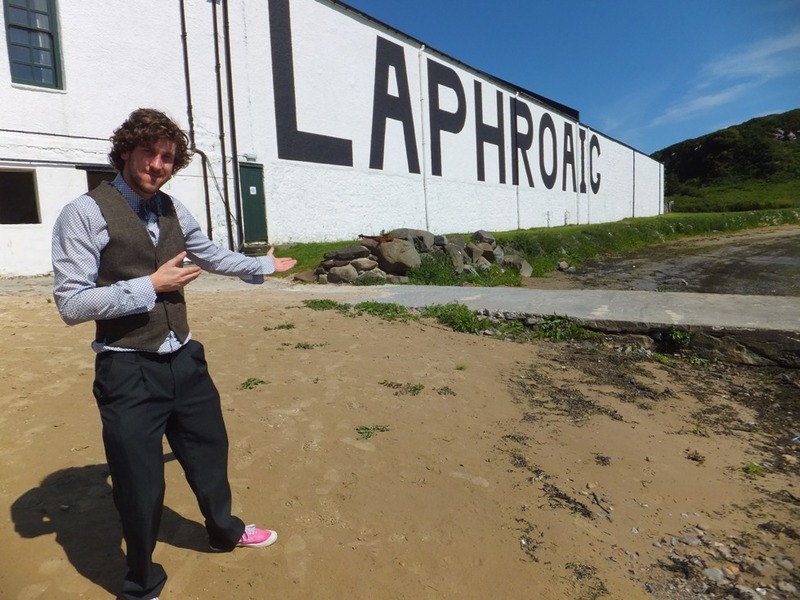 With this in mind, Whisky Waffle are excited to announce our biggest event week yet, reviewing drams produced on that iconic whisky island: Islay. 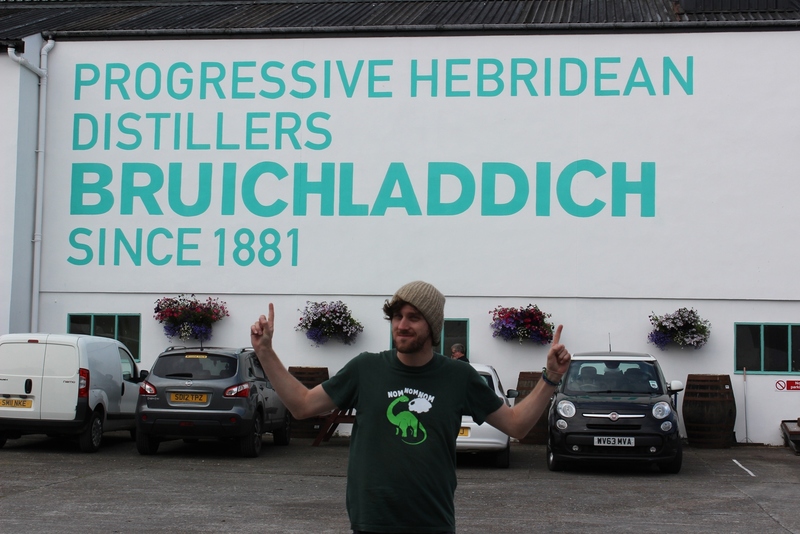 Throughout the week we shall fill in a few shameful gaps in our reviews catalogue, reflect on our respective trips there and celebrate the 200th birthday of a favourite distillery of ours. It’s going to be a huge week and one that every whisky fan will need to check out. Log on each day leading up to Christmas for a new article – think of it as a peated advent calendar. 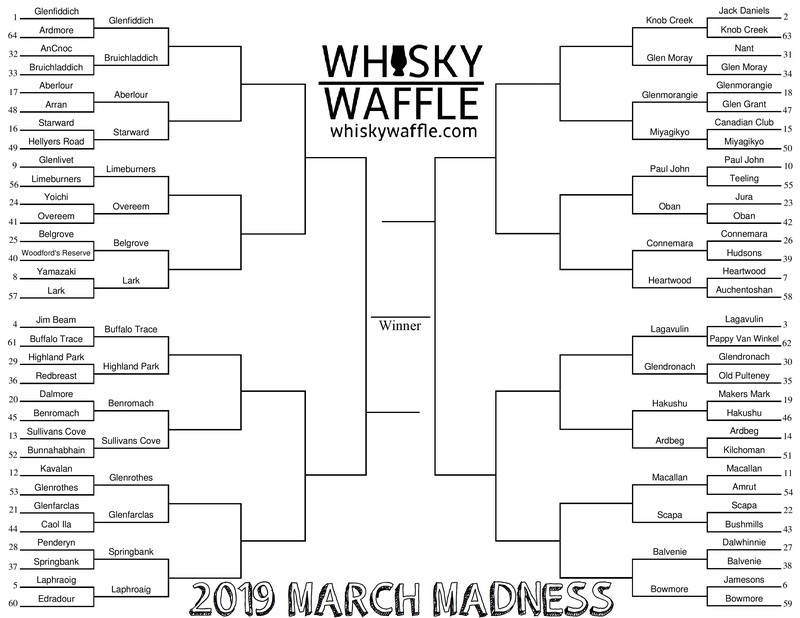 So let’s raise a smoky dram and kick off Whisky Waffle’s Islay Week! When it comes to peated whisky in Tasmania, the situation is a little more complex than first meets the eye. Tasmania actually has its own peat bogs, however the smoke is quite different to the Scottish stuff, being softer, gentler and more rounded. It is also restricted to a few distilleries that own leases to the bogs (the rest is locked up in national parks and the like). 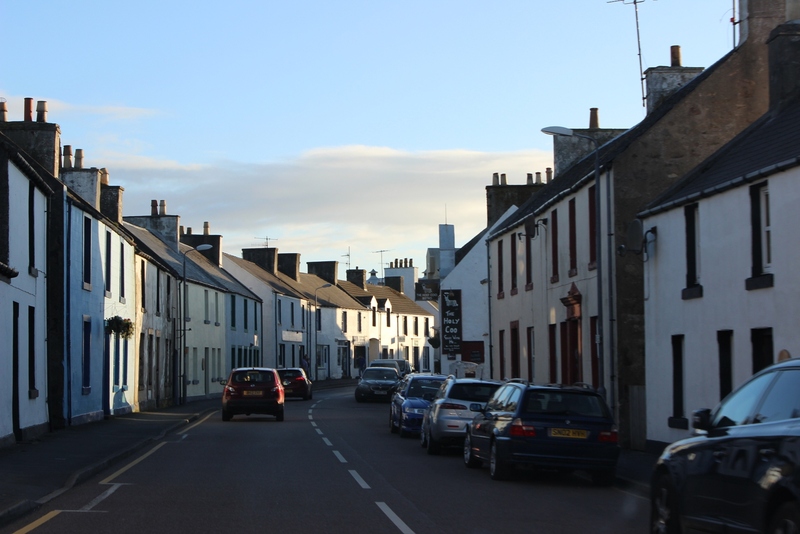 In Hellyers Road’s case they don’t have access to a native bog, so instead they import peated barley all the way from maltings in Inverness, Scotland. 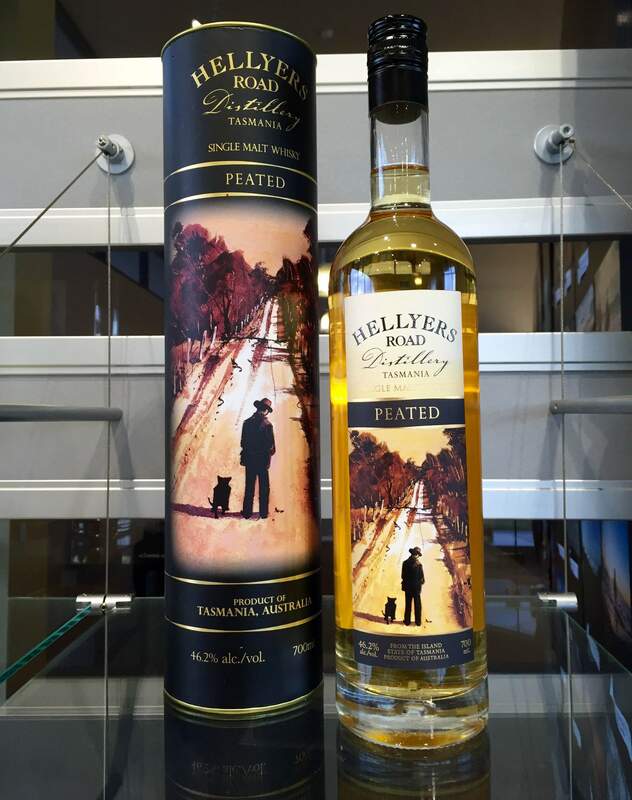 The side-effect of this is that Hellyers Road Peated is much more closely aligned to Scottish drams than other Tasmanian malts (side note: Hellyers Road use local grown barley for their non-peated expressions). Nosing the Peated expression is like standing in a grain storehouse, grabbing a big handful of peat-smoked barley and taking a deep sniff. Underneath the big, fat, bold, smoky cereal flavours can be found cocoa, black currants, pencil shavings and smouldering leaves. The first layer of taste is what you would probably expect from a heavily peated whisky – strong, thick smoke that billows around the mouth, a bit like standing on the wrong side of the campfire. When you clear away the smoke however, you are left with a light, smooth and slightly sweet dram, without too much else going on. The finish is long and smoky, but gentle. In fact, the smoke probably rounds out the feel of the dram as a whole, smoothing out some of the harsher edges that can be found in a younger whisky such as this. When compared to a traditional Islay single malt like Laphroaig or Ardbeg, the Hellyers Road Peated perhaps misses some of the strong coastal flavours that punch through from underneath, but makes it up in other areas. A light whisky, heavily peated, this Hellyers Road expression delivers a different experience to anything else available from Tasmania. 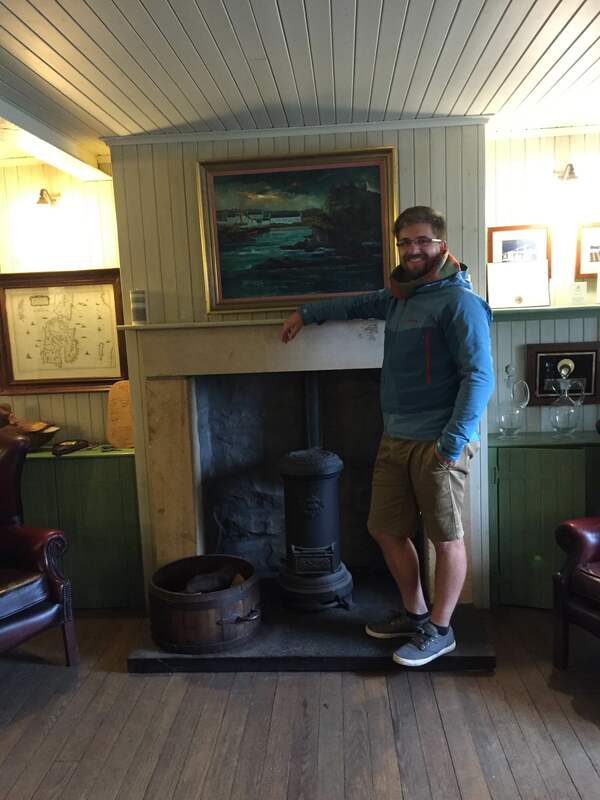 As I sit here in a comfy wingback Chesterfield armchair in the lounge at Lagavulin distillery on Islay, I reflect that this represents the culmination of a very significant journey for me. My being here now was (in part) sparked by a moment in time a number of years ago that changed how I experienced the world. When we were young, poor and tasteless uni students, we drank whisky without any art or depth of thought. Our main drinking decision was how cheap we could get away with without completely destroying ourselves. However, one particular night we happened to be out on the town for a friend’s bucks night. Feeling in a generous mood and relatively flush, we stopped in at a bar and decided to order a couple of drams a bit above our usual weight. Our decision this time was based purely on how cool the name was. Our first dram was the fun sounding Monkey Shoulder, which taught us about finding better blends and which we still enjoy to this day. The other was a rather mystical sounding dram named the Lagavulin 16yo. Not thinking too much about it I took a decent hit of the dark amber liquid. Suddenly, time stood still and my mind exploded. I had never tasted anything like it. Billows of hot, medicinal, coastal smoke filled my mouth and roared down my throat, leaving my senses reeling. The others around me were being gripped by a similar reaction. 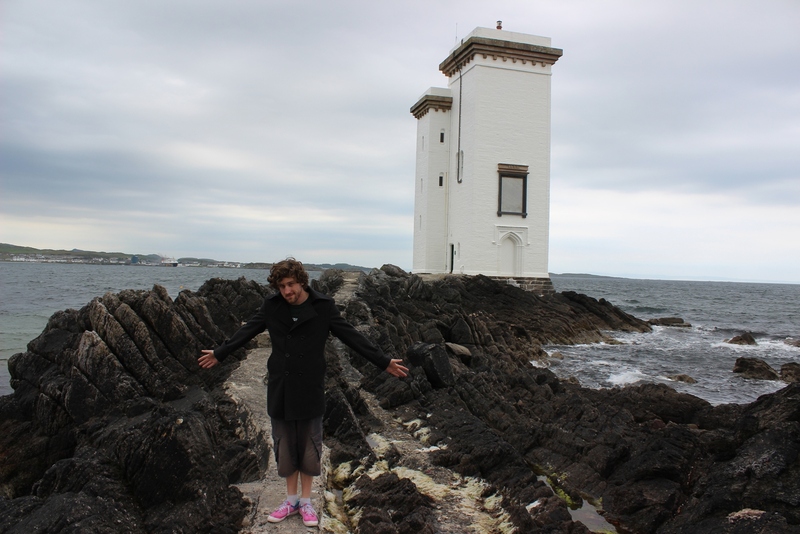 It was love at first dram. 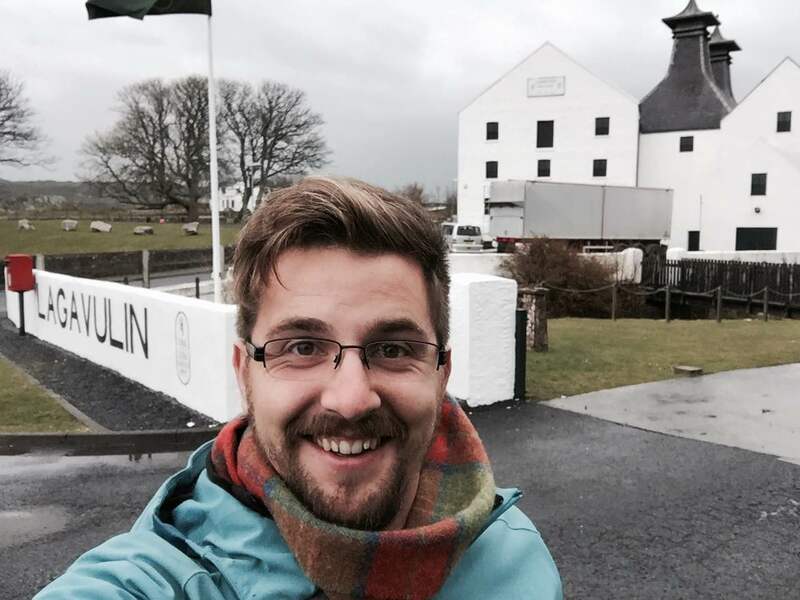 That one moment catalysed within me a yearning for good quality whisky, to try exciting and interesting drams. That feeling simmered away until the finish of uni and the gaining of a job and more importantly, money. Suddenly a whole world of exciting whisky was within grasp. 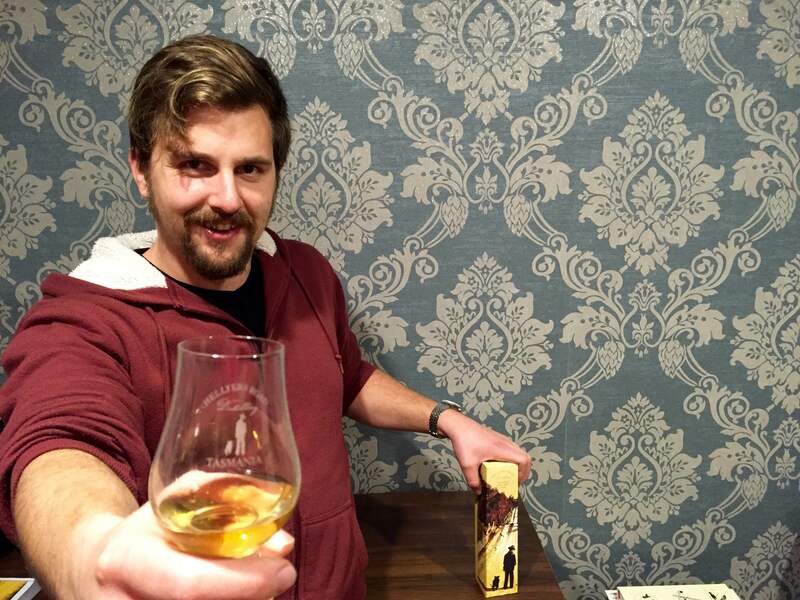 Eventually the path we had been set upon led to the founding of the number one whisky blog in Tasmania, something m’colleague and I are immensely proud of, and the discovery of a whole community of people just as excited about whisky as we are. 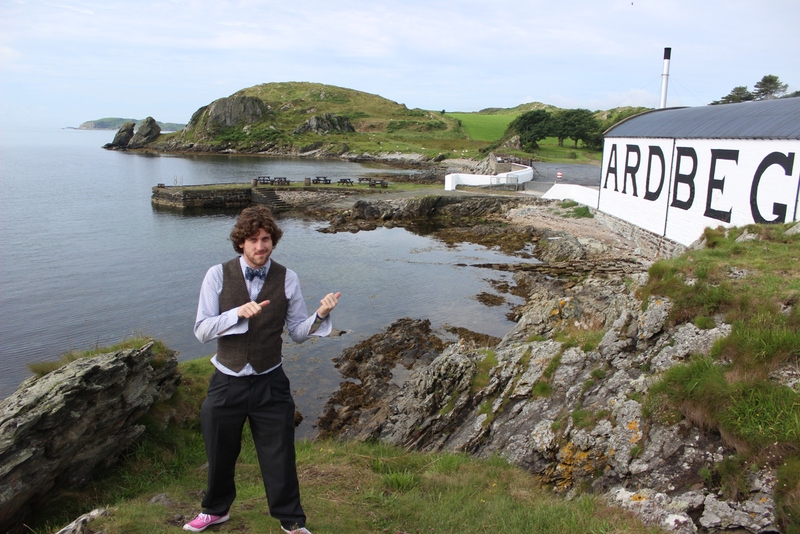 And so here I am on Islay, sitting at the very distillery that kickstarted the whole adventure. 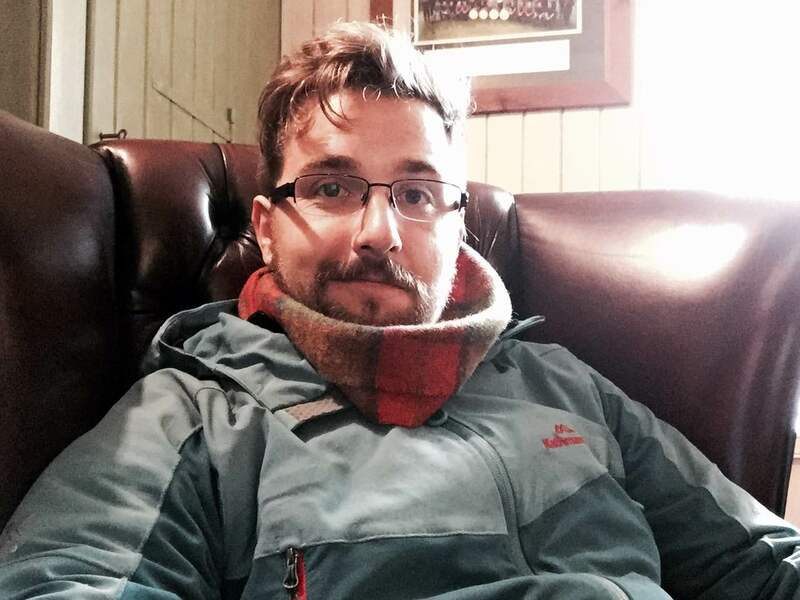 It feels slightly surreal to be honest (although if it was truly surreal there would probably be a couple of highland cows sitting on the other chairs smoking pipes and discussing the football results), but at the same time like wearing a favourite old tweed suit. 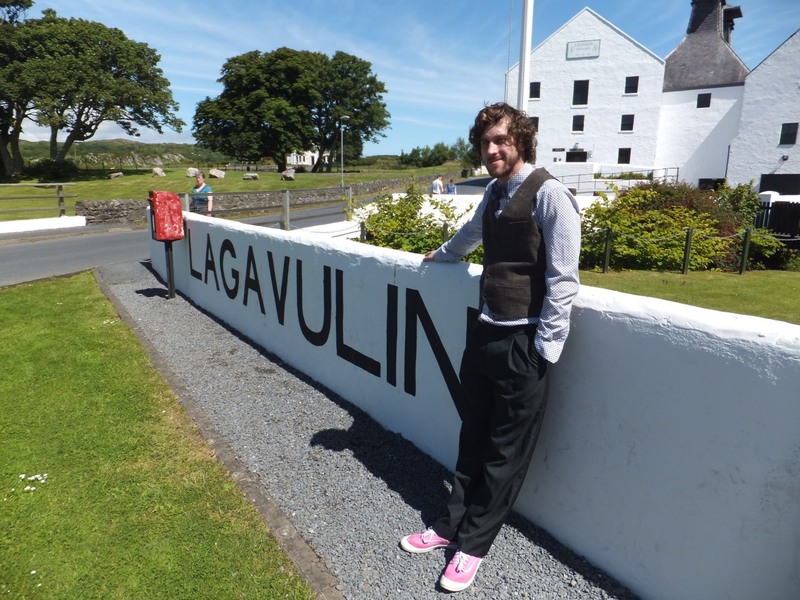 It’s a significant time for both of us actually, as Lagavulin celebrates their 200th birthday this year, a feat to be congratulated. I will no doubt return here again, as will m’colleague and many others besides, hopefully for another 200 years and more, and revel in this glorious, extraordinary whisky. 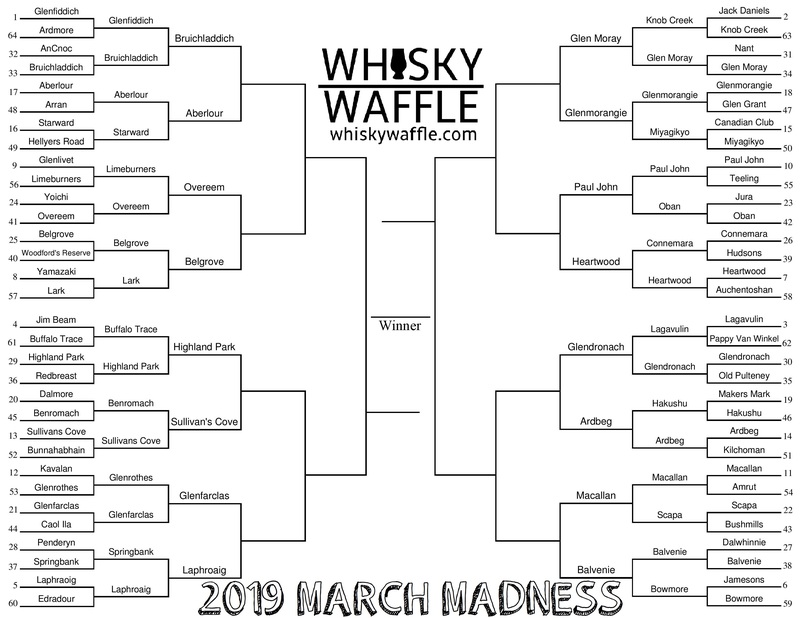 Sláinte mhath, and keep on waffling.